There are some things that Tunisia is renowned for and as the title of this article may have given away, camel trekking is one of them. Pick up any travel brochure and amongst the golden beaches are tourists heading into the sunset on the back of a camel. There’s no doubt that there’s a certain charm about riding a camel, but what makes this experience more unique in Tunisia is the fact that you will be riding across some of the most fantastic landscapes you’ll ever set eyes on. Many of these will be in the Sahara and in simple words, there’s no better feeling. While some tour operators might push you in the direction of one of their trips without a second thought, it’s most definitely advisable to prepare well before jumping aboard this animal. It’s for this reason that we have put together this guide, as we take a look at the must-know information before you trek away, as well as what you should expect when you finally do depart. How should you prepare for camel trekking? What is camel trekking all about? While some tour operators might lead you to believe that you simply have to “turn up” for your camel trekking excursion, we’re going to opt against such advice. Firstly, as your trek is most likely going to be across the Sahara, there’s the temperature-factor to consider here 1.. If you are venturing out in the winter, then the temperatures will drop much lower than you’d ever imagine and you really will feel a chill during the evenings. A lot more is known about the summer temperatures, which soar to ludicrous heights, meaning that the best time in terms of weather to go on one of these trips is the spring and autumn. It’s during these occasions where you won’t be craving ice, or a blanket for the other extreme – the conditions will be acceptable throughout. The above conditions mean that it’s crucial to pack appropriately, with the top recommendation often prompting something of a surprise. The best item you can take, regardless of the time of year you visit, is a scarf. In the summer, this can prevent your head from unbearable heat – while it can also provide the invaluable task of protecting your eyes from sand which is potentially swirling all over the place when the winds are high. The other items of clothing are more expected. Firstly, you should avoid shorts or skirts, as these can make your legs rub against the saddle and burn them over a long distance. In a further bid to prevent this burn, you should also look to hold onto the handle bar and not balance yourself out with your legs as you ride the camel. Elsewhere, in relation to clothing, always consider layers. As you will have discovered, the main message is that the conditions in the Sahara can change emphatically and this is why it is crucial that you can quickly add and remove layers to manage your temperature appropriately. Some of you may also be surprised to hear that it’s important to get in shape 2. before one these treks. Sure, for a short ride it’s not going to be overly crucial, but for anything longer-term your experience is only going to benefit. If you can exercise to enhance the strength for your hips 3, legs and core – your balance will improve significantly. The upshot of this is that you will have a much greater degree of control whilst riding the camel, and your body won’t feel nearly as much strain as someone who has approached the experience without any training. Unfortunately, there’s no easy way to tell you about what to specifically expect with camel trekking. The fact that there are so many tour operators across Tunisia is naturally great from a variety perspective – but each offers their own experience. For example, some might provide a “camping under the stars” experience on overnight treks, while others might supply a hotel. However, in terms of the experience of camel trekking itself, it should go without saying that there aren’t a huge amount of differences. You will always be provided with a local guide, who is almost on first-name terms with each of the camels, while you will also be presented the opportunity to explore different activities. It’s these activities that we are going to focus on now. Again, there are umpteen available and what one tour operator provides isn’t necessarily going to be the case with another. 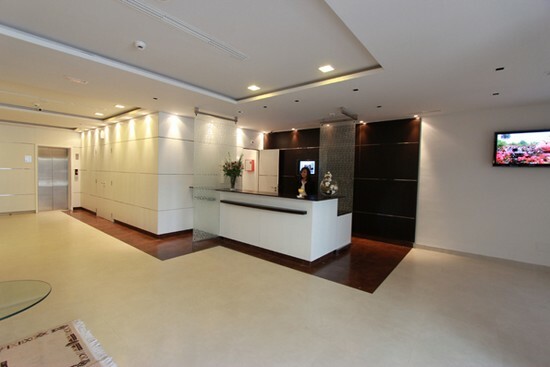 Perhaps one of the most popular activities is to venture around oasis treks. 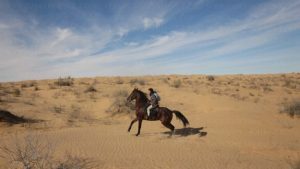 As you are in the Sahara, it goes without saying that oasis’ are pretty common – especially along the routes that touring businesses like to tell you. Most people are pretty captivated by what they see, and the experience is only enhanced when they are taken through the small villages that are often near to these water sources. 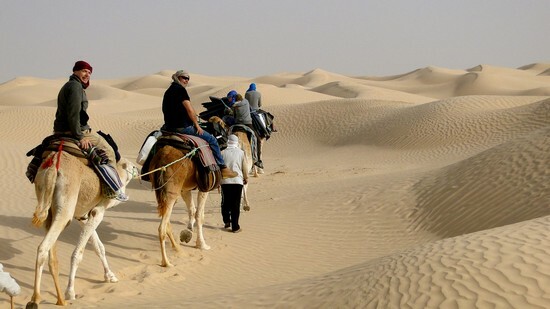 While trips to the oasis’ in the Sahara are quite common on camels, something that’s a little more serious is a caravan trail. Once again, the length of these trails can vary enormously – with some lasting weeks. For example, some tour operators will take you through the Sahara, and allow you to bask in oasis’, national parks and the general beauty that the desert has to offer. It’s these sorts of long-term trips that can involve you both sleeping under the stars and staying in a hotel – there really is immense variation. We should also give a mention to the Silk Trade route at this point. If you are considering this, it might be worth reading up on Silk Road as it really is an important piece of history and knowledge of it can benefit your experience. 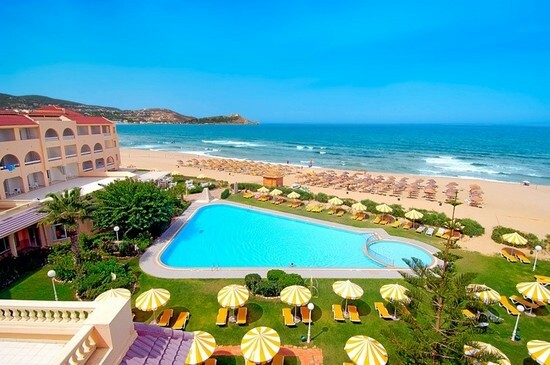 In short, you will be traveling via the Tunisian element of it – in other words, the route that used to be absolutely crucial for trade in this part of the world. Admittedly, there might not be an avalanche of signs that show its past use, but if you allow your creativity to run wild you can picture what life used to be like for the thousands of camels and caravans that used to make the trek daily. 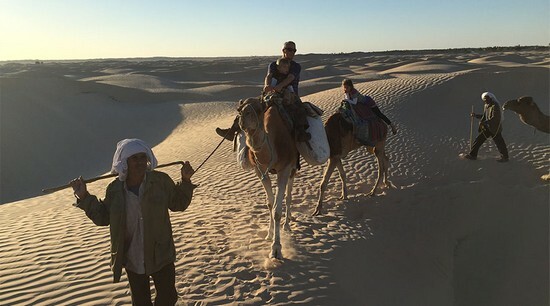 Hopefully, this guide has shown that there is more to a camel trek than simply hopping on the back of the animal and wandering along the beach. While some experiences might be along these lines, if you really want to get the most out of camel trekking you should look to visit the Sahara. Of course, if you do opt for this, make sure you prepare adequately as the conditions and trip will hit your body harder than you’d probably imagine.